The 25-year-old winger joins on a free transfer and has signed a four-year contract with the Bundesliga club. "Ibrahima Traore is an extremely fast winger who will add to our options in attack, making it more flexible," Monchengladbach sports director Max Eberl said. "He comes as a free agent and we are happy he decided to join us." 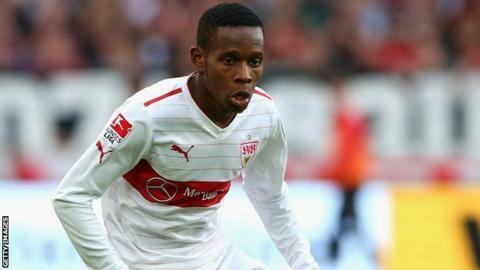 Traore is one of the few players who have made an impact for Stuttgart this season as the former Bundesliga champions battle to avoid relegation with four games left. Before joining Stuttgart the France-born Traore played for Augsburg and also spent time at Hertha Berlin. He has played a total of 71 Bundesliga games and scored six goals. Monchengladbach are sixth in the Bundesliga and are eyeing a place in next season's Europa League. In the past Traore has rejected moves to play in the English Premier League.